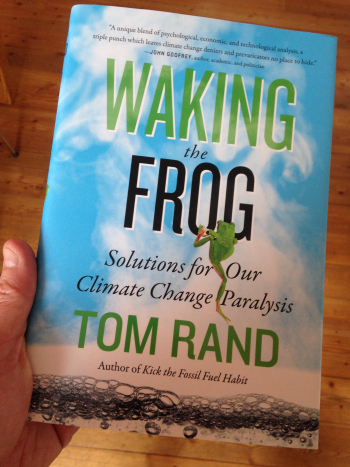 Clean Energy Renaissance Man Tom Rand On "Waking the Frog"
Tom Rand is a clean-energy renaissance man. 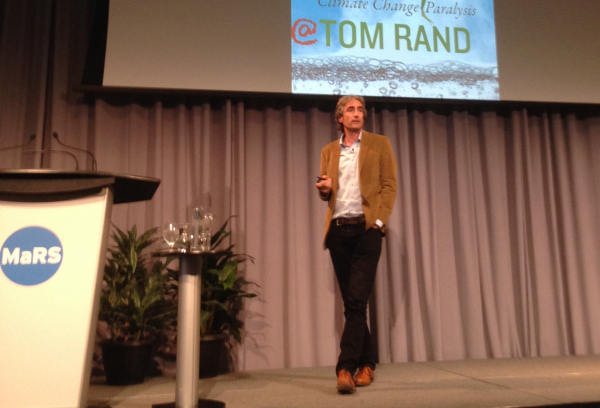 He’s an advisor (to Clean Energy Canada, among many others), speaker, philosopher, and venture capitalist. He co-manages ArcTern Ventures, and is the author of Kick the Fossil Fuel Habit—a tour of the technologies that will decarbonise the global economy. His new book is Waking the Frog: Solutions For Our Climate Change Paralysis (ECW Press, $30). In it, Rand digs into our agendas, motivations, and closely-held assumptions about climate disruption. It’s climbing the non-fiction best-seller lists—and for good reason. This is one rollicking and highly accessible read. We caught up with Rand and asked a few questions. What is “the frog,” or rather who is the frog? Every school kid has heard the story of the frog in the pot of water on the stove, which gradually heats up until the poor thing is paralysed and unable to move. For me, the frog is an analogy of the structures we have that prevent things from happening on climate disruption. There are equivalent structures in our society, in our laws and our rules, that paralyze us, that keep us in the pot as the planet heats up around us. Well, some of the barriers are psychological. Climate disruption runs counter to many of our most cherished beliefs, such as ”tomorrow will be better than today,” “keep a steady hand at the tiller,” “nature is ours to command.” These are deeply-held beliefs. Challenging them actually causes emotional distress. So, ultimately, the human brain is pre-wired not to take climate disruption seriously. Then there are economic models, such as the way we do cost-benefit analyses. One of them is the concept of the discount rate; if the damage is in the future, our discount rate will prevent us from taking it seriously. The economic models we have to work with are inadequate. 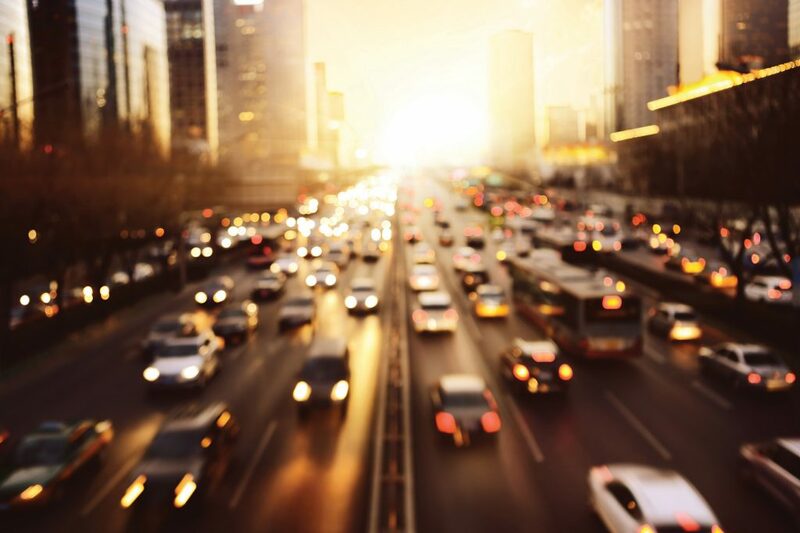 You make the case that the market is the best tool for addressing climate disruption. Why? The market is the most creative economic force in human history. The rule of the game is a price on carbon. If you price carbon, you suddenly have this highly complex system working to solve a constraint. We don’t know how it will be solved, but we do know that with a price on carbon the market will head in that direction. Just as you have to pay a fee to put your garbage in the dump, you have to pay a fee to put carbon in the air. You are just moving money from one part of the economy to another. Your book references organizations and companies that claim they are “agnostic” on climate disruption. What does that mean? If you say that you are agnostic on climate, technically it means you haven’t thought much about it. We hear this language a lot from energy incumbents because it allows them to avoid taking the ridiculous position that climate disruption isn’t happening. But it also allows them to say, “I am not acknowledging that I am doing harm, either.” The position allows energy incumbents to continue to build out fossil-fuel infrastructure and also to claim later they were not breaching their duty of care. It is tempting for many to make oil companies the enemy. Are they? They are just doing their jobs. Fossil fuels are the single most important reason we have dragged ourselves out the muck. These companies are not the enemy in that sense. They are performing a service, and the service is valued. The fossil fuel party has been a great party, but it has to come to an end, and now our job is to provide those companies with solutions. It is not “us and them” anymore, it is just “us.” All that said, oil companies that work hard to deny climate disruption—or avoid acknowledging the risk of carbon—well, yes, they are enemies. Your book talks about the danger of “incremental change”—the easiest kind for most people and businesses to embrace. Why is it risky? Twenty years ago, incremental change would have been enough. But we are very late in the game now. The danger is that we can get addicted to these incremental changes and they can distract us from the real job, which is the rapid decarbonisation of the economy. The problem for the small-c conservatives out there is that “business as usual” will not work anymore. It will take us right off the climate cliff. We have this real problem where we have to make profound changes in order to preserve the status quo. It is a paradox—to have to embrace radical change in order to conserve something. In Waking the Frog you use the metaphor of the “energy moon shot” to describe the decarbonization of the economy. How is what needs to be done today similar and different to that effort? Actually, I’ve since come up with a stronger metaphor: Apollo 13. You’ll remember that mission—something went wrong up there, and these astronauts had to figure out how to get back to earth while the world watched, transfixed. They had a mother ship to return to—Earth. We don’t have another mother ship. It is like we are on a spaceship and someone is screwing with the airlock. This is our Apollo 13 moment. Exactly. Changing our economy to a low carbon economy is far more ambitious than any project we have embarked upon to date. But we have more innovation, more capital sloshing around, more industrial capacity, we have built a massive machine that is capable of rebuilding itself. It has to be made a priority on the same level as military security in order to get this done in a meaningful timeline. It takes more interaction than Apollo did, it is more complex, more expensive, involves more people, the energy infrastructure is more complex and daunting than anything else. Countries that have figured this out will maintain an economic advantage, like silicon valley did for tech in the 1960s. Could Canada figure it out the way other countries have? First, I would distinguish our own emissions record from our cleantech record. When it comes to reducing carbon, as a nation we are doing essentially nothing. Some provinces and cities are doing stuff, but our country isn’t. On the other hand, we do have some of the most promising cleantech companies in the world. We arent doing much with their products and services here at home, but those companies are increasingly looking to sell those technologies abroad, and are doing so. What is the role of targeted public support for renewables, and why do some have such a hard time with the idea? Every industry on the planet had some targeted support to get it going. The reason solar has come down so much in price is because Germany and Spain established feed-in-tariff policies. Now that solar is scaling up, those training wheels are coming off and renewables are starting to compete. The military provided the initial demand for the microchip. Every single piece of tech inside an iPhone was started and invested in by the government. The idea of the garage startup and pure free-market innovation is the myth of the heroic entrepreneur. 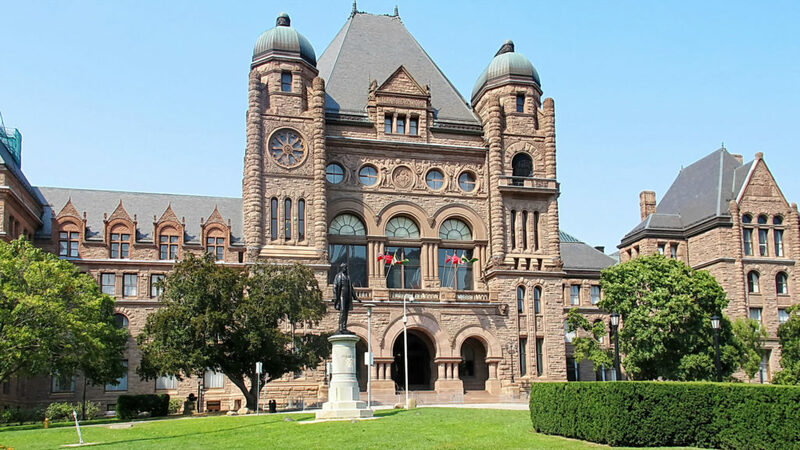 That entrepreneur exists within the context of public education and publicly funded research. You advocate for a limited role for nuclear in the energy shift. How and why? It’s all hands on deck. I understand people are nervous about nuclear and yes, it is expensive. But it needs a fair shot. Either thorium or fast-breeder reactors, we need to continue work on those. We didn’t after Three Mile Island, but next-generation nuclear has a lot of potential. Will it reach that potential? I don’t know. We’ll know in 10 or 15 years from now—but we need to get all these things going: Carbon capture and storage (CCS), nuclear, and advanced geothermal. The big three. Well, you’re a venture capitalist. Which would you pick from that list? Well the market needs to decide, but personally, I think the winner will be enhanced geothermal. That may be the one. We have invested $3 billion on CCS and enhanced geothermal needs the same kind of investment. 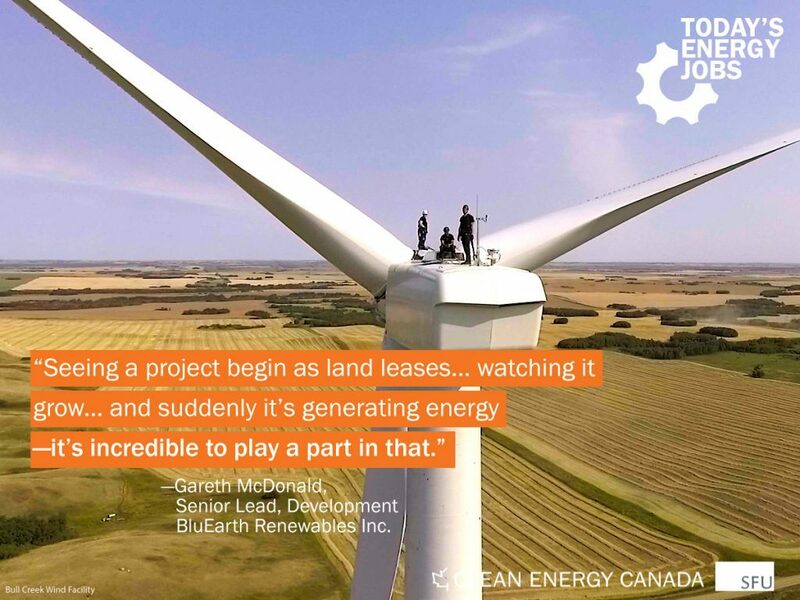 Enhanced geo is the Holy Grail of clean energy. It would probably beat nuclear and CCS in a fight. But it needs a fair shot. So how do we do it, then? How do we wake the frog? We simply need to exercise our uniquely human capacity to plan for an imagined future, and co-operate across broad swaths of socio-political units. In other words, we need to indulge our innermost humanity.